Exporter of a wide range of products which include anesthesia machine and medical ventilators. 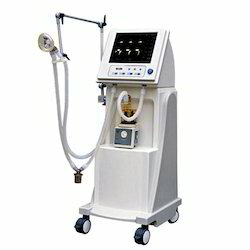 Being a customer oriented firm, we are engaged in manufacturing, wholesaling, trading, importing and supplying high-quality Anesthesia Machine. 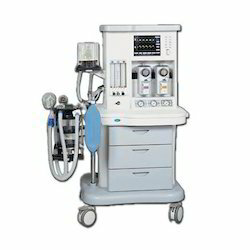 Our given range of anesthesia machine is widely acclaimed for its durability. This anesthesia machine gives integration with an anesthesia information management system. Along with that, we supply this anesthesia machine from our end after conducting a proper test against them. We hold expertise in providing an extensive range of Medical Ventilators that can be can be locked also to prevent accidental mishandling; this ventilator is provided in numerous specifications as per the requirements. In addition to this, our offered ventilator is developed with touchscreen and a user-friendly interface.